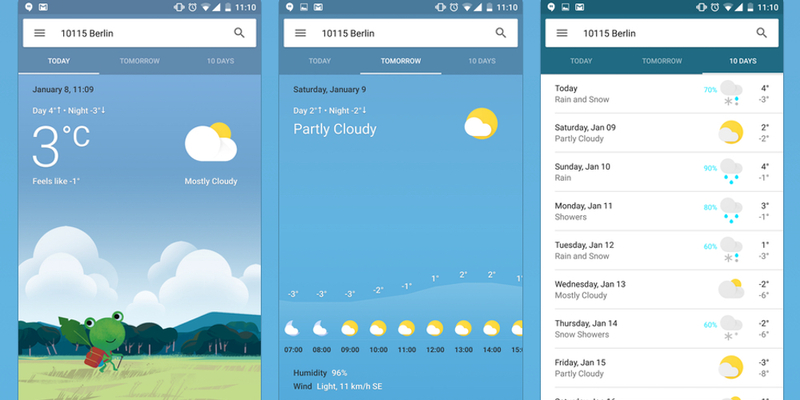 It seems Google is testing a new way to show their weather cards in Google Now. Previously we used to see the usual, plain white Material-designed card but some users are noticing a brand new richer design. The cards are colorful, and have far more functionality as compared to the plain white ones. 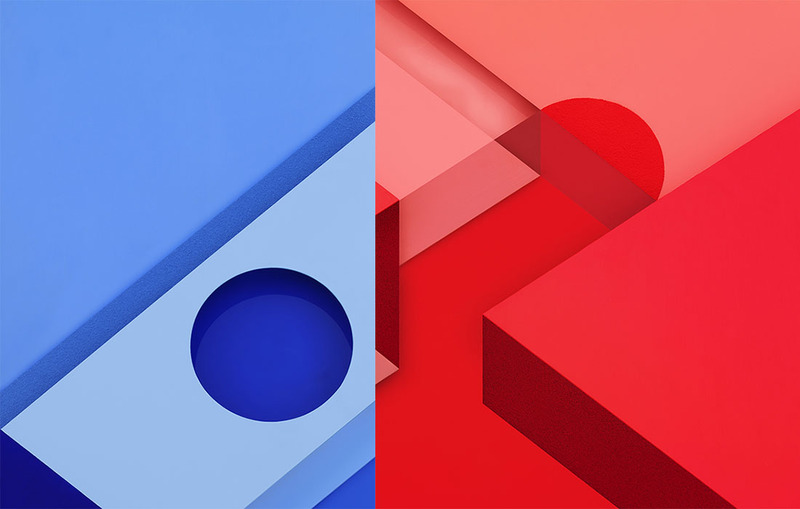 The new cards — first spotted by a Google+ user, and subsequently picked up by Android Police — can be expanded to fill the entire screen of your smartphone. What’s more, the weather card is split in to three separate sections to give more detailed weather forecasting. You now get the option to check ‘today’ and ‘tomorrow’ as well as viewing a 10-day forecast. 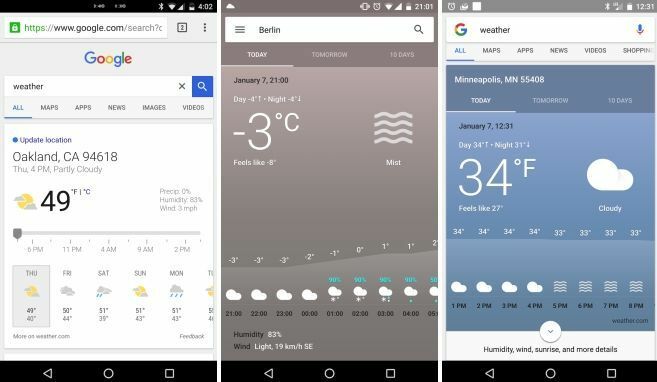 With the new cards you also get access to more detailed weather information which you’d expect to find from more fully-fledged native weather apps. Details like pressure, UV index and visibility are shown, as is air quality. 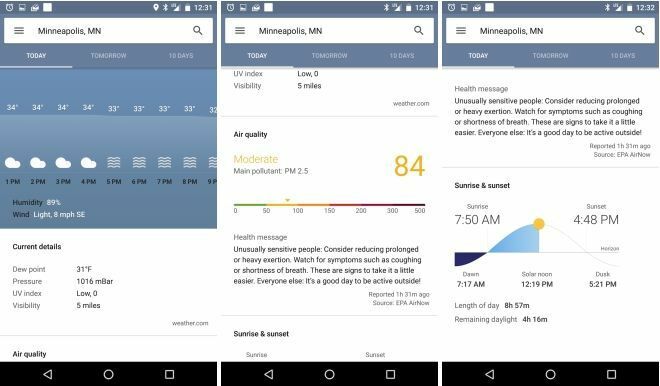 With the air quality screen, the new view offers health advice based on how good the air is, and what specific pollutants are floating around. You also get to see sunrise and sunset times. When the weather is open full-screen, the color is matched in the status bar and around the search bar on the top. As a bonus, the ‘today’ view appears to have a cute cartoon-ish graphic to match the weather, depicting a frog enjoying seemingly all kinds of weather. It also seems as though coloring of the web app changes depending on weather and time of day too. 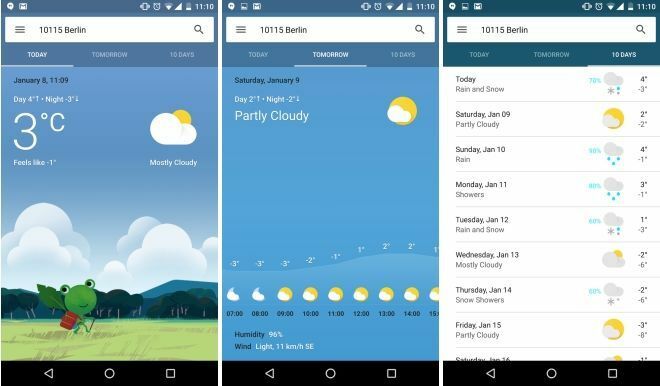 As previously mentioned, it appears as though Google is just testing this new weather card with some users as it’s not rolled out to everyone yet. There’s always a chance the company might choose not to roll it out to everybody after testing. Personally, I think it’s a great change from just seeing a basic white card with little interactivity. 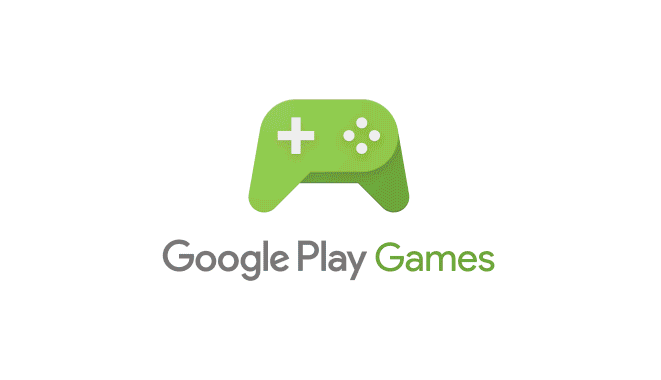 It’ll certainly be one of the most useful additions to Google Now we’ve seen in some time. Fire up the Google Now app on your phone and search for weather to see whether or not you’ve been lucky enough to be part of the testing.